A 21-year-old man has been arrested and charged with an attack on a dad in front of his young children. 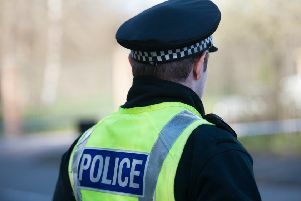 The incident took place on Sunday, November 16 in Glebe Street, Falkirk, when the town centre was packed with people attending the Christmas lights switch on. The 39-year-old victim suffered injuries to his head and body following the attack which took place around 2.30 p.m.
Police are currently following a postive line of enquiry to trace another man believed to have been involved in the assault. The 21-year-old is due to appear at Falkirk Sheriff Court today.